I live in Durham and need a good roofer. I want someone who is bonded and insured, that I can trust to get the job done right the first time. Which Durham roofer should I call? If you’re a resident of Durham, NC, and you want to know the answer to the question: who is a good Durham roofer you can call to fix or replace your old roof, you need to know the Durham roofing experts for over 40 years have been Collins Roofing and Gutter. We opened our Durham Roofing business in 1967 and have been repairing and replacing roofs in our city ever since. If the quality and dependability of your Roofer in Durham matters to you, you need to choose a roofing company with experience and expertise. Once you’ve discovered that your roof needs to be replaced, a roofing contractor can come out and take a look at your house to determine which type of roofing would not only work best for your needs, but also improve and maintain the look of your home. Do I really need to replace my roof, and if so, why? A roof is an important aspect of a home and can help ensure that your home looks well-maintained and keeps its value over time. It keeps water, moisture, and unwanted pests out of your home. Water and moisture can cause damage to your home over time, leading to mold problems or additional structural damage to your house. All roofs, though, have a lifespan. Shingle and metal roofs will need to be replaced at some point, due to simple wear and tear from the elements. Severe weather and temperatures can create problems that need to be dealt with immediately. If your insurance is covering the repair of your leaky roof, we will work closely with your insurance agent. A skilled roofing contractor will visit your Durham home to let you know if your roof really needs to be replaced. We have experience with both shingles and metal roofing materials. We have also done flat roofs, architectural shingles, and roof replacement, and roof renovation all over Durham. You should hire a professional roofer in Durham to get the job done right the first time. Professional Durham roofers are licensed, bonded, and insured. This way if anything goes wrong, you know it will be fixed to your satisfaction. You can relax in knowing the job will be done correctly. If you hire a non-professional roofer, you run the risk of shoddy work that quickly falls apart and ends up costing you more money in the long run. If you have made the mistake of hiring a non-professional to replace your roof the first time, and the shingles are already falling off, we can try to repair the damage they’ve done. Our roofing renovations are also possible on older homes, or when wear and tear has led to issues with your roof. We can repair your roof and match the existing roofing materials. We pride ourselves on our workmanship and we know our roofs will last for years to come. So if you are looking for a quality professional Roofer in Durham, you need the skills and experience of Collins Roofing and Gutters Contractors of Durham, NC. 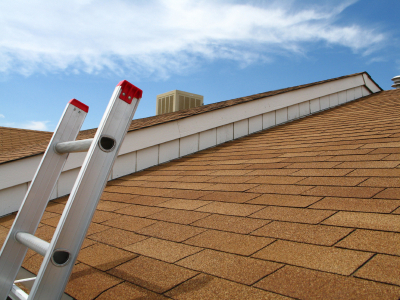 With over 40 years of experience in the roofing business, we will get the job done right the first time.